Leavel Durham, 55, passed away on Saturday December 1, 2018 in Nashville, Tennessee. He was born on February 22, 1963 in Moscow, TN to Vernon and Luevenia Durham and was the fifth of seven children. 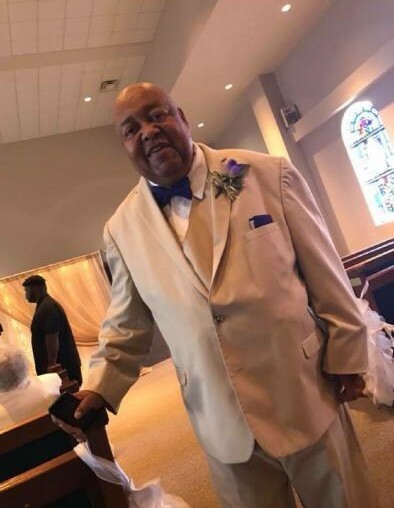 His funeral service was held on Saturday December 8, 2018 at 1:00 pm at Union Hill MBC-Whiteville with Reverend Robert Williams in charge. Burial was in the Union Springs Church Cemetery and Dixie Funeral Home (www.dixiefuneralhome.com) was in charge of the professional service. He accepted Jesus Christ at a young age and joined Macon MBC and later joined Union Springs MBC where he was an active member. he was a 1982 graduate of Fayette-Ware High School. He had several jobs and careers. On May 15, 1993 he married Mary Beard and to this union two daughters were born. Preceding him in death was one sister, Mary Murphy and one brother, Wayne Johnson. He leaves to cherish his memory his wife, Mary; five daughters, Shawanna (Jerry) Polk, LaNeasha Durham, Kaysha (Marvin) Fleet, Shavelle Robinson and Michiekia (Anthony) Copeland; two sons, Christopher Carter and Donavan (Beunka) Glover; one sister, Deborah (Jerry)Wilkerson; four brothers, Eddie (Sylvia, Larry (Renita), Thomas (Emma) and Vernon, Jr (Hattie) Durham; three grandchildren; and many other relatives and friends that will truly miss him.